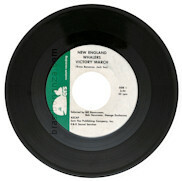 In the late 1970’s, the New England Whalers released a 45rpm EP featuring the New England Whalers Victory March (Brass Bonanza), with the Whalers vs. Saints penalty record on the B-side. 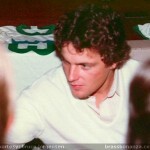 The content of this recording was released again in the 1980’s in cassette form. This custom recording was created by D&K Sound Services for the Sam Fox Publishing Company, Inc. The sounds on this page are restored recordings obtained from an original EP.